With February coming to a close, spring is fast approaching. While this is good news for our Chesterfield clients (after all, who really likes cold weather? ), it also means that it is time to make sure that your Audi is ready for the warmer weather. While the colder months are traditionally harsher on vehicles, the warmer months come with their own set of harsh conditions. In today’s post, we here at Kudos Import and Performance wanted to take some time to list out a few things you need to consider in order to make sure that your vehicle is ready for Spring. Continue reading below to learn more. Is Your Audi Ready for Warm Weather? After a long, cold winter spring is the perfect time to make sure that your Audi is ready for the coming summer months. Having your Audi checked out now will not only ensure that your vehicle is ready for summer, but will also save you repair costs in the future. Below, we have listed a few things that you need to be sure to check. Check Fluids: While checking the oil in your Audi is a given, we also suggest that you take some time to ensure that all other fluids in your vehicle are topped off, clean, and doing their job. Checking fluids now will ensure that your vehicle is ready to go for those wonderful summer drives. Check the Tires: Winter is harsh on your Audi’s tires. Between freezing temperatures and road salt, some serious damage can occur that you may not have noticed. While having your tires inspected, we also suggest that you make sure they are properly balanced and that your Audi is in proper alignment. Check the Brakes: If it has been awhile since you have had your brakes checked, we also suggest that you have them looked at. Road salt, once again, can wreak havoc on your Audi’s brake pads and cause them to deteriorate more quickly than they normally would. Few care issues are worse than brake failure. Check the Battery: If your battery is a few years old, now is a great time to have it inspected. The winter months are hard on your vehicle’s battery and it is much nicer to replace a battery you know is about to fail than have to deal with a surprise dead battery. Check the Air Conditioner: This step is very important going into the summer months. Because you have probably not used your air conditioner for a few months, you will want to make sure that it is still working. Few things are more uncomfortable when driving than not having any air conditioning on a hot summer day. 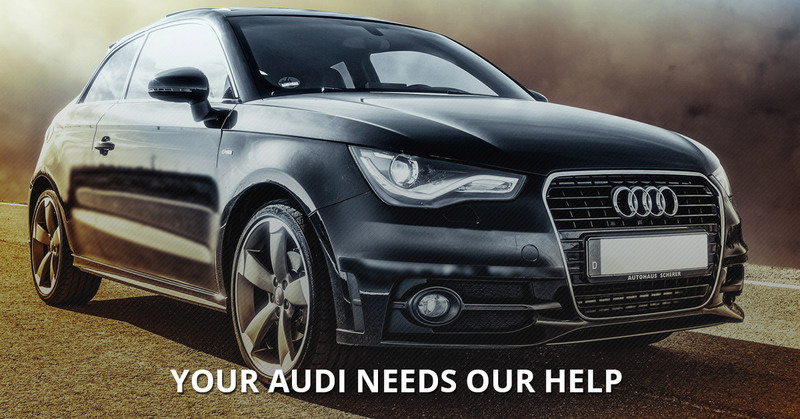 If you’re in need of Audi repair or maintenance services in the Chesterfield area, please contact us today. At Kudos Import and Performance, we are dedicated to providing the best import auto maintenance and repair services that we can and, when you choose us, you can rest assured that we give your vehicle the level of care and respect that it deserves.